Move-in Ready! Popular neighborhood within walking distance to award-winning schools; recently updated with new roof, new A/C, fresh paint, new soft-close cabinets with pullouts in kitchen, granite counters, open concept floor plan, updated bathrooms have marble grain grey tile, double vanity downstairs also has pull out with receptacles for hairdryer and curling wand, upstairs updated bath has recessed "secret" medicine cabinet behind mirror. New carpet installed. 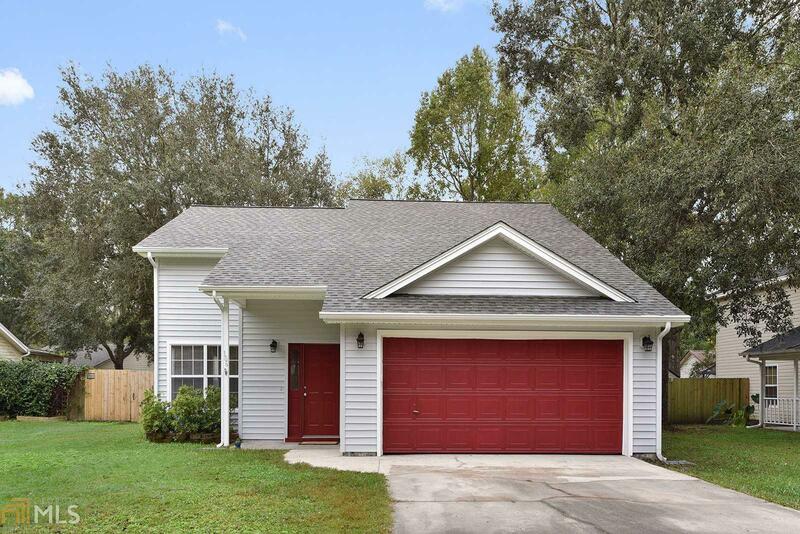 Home also features security system, recessed LED dimmable lights french doors to screened porch, fenced back yard, 2 car garage, low maintenance vinyl siding. Located near end of cul de seac low traffic area. Just minutes to NSB Kings Bay; close to shopping/restaurants. Directions: Lakes Blvd To Lake Wellington. Take Second Road On Left. Copyright 2019 Georgia MLS. All rights reserved. Information deemed reliable but is not guaranteed. The data relating to real estate for sale on this web site comes in part from the Broker Reciprocity Program of Georgia MLS. Real estate listings held by brokerage firms other than Weichert Realtors Dream Achievers are marked with the Broker Reciprocity logo and detailed information about them includes the name of the listing broker. Information provided is for consumer\'s personal, non-commercial use and may not be used for any purpose other than to identify prospective properties consumers may be interested in purchasing. Weichert Realtors Dream Achievers does not display the entire MLS database on this website. The listings of some real estate brokerage firms have been excluded. This site will be monitored for \'scraping\' and any use of search facilities of data on the site other than by a consumer looking to purchase real estate, is prohibited. Listing broker has attempted to offer accurate data, but buyers are advised to confirm all items. Information last updated on 2019-04-18.